Can You Set Up More Than One Grid In A Room? If So, What's The Maximum? Can you set up more than one grid in a room, and if so, what would you recommend as the maximum number in a given area? Thanks so much for your question about the number of grids that you might or might not want to place all in the same room or area. I am a firm believer (and I hope that others will agree) that you can never have too much positive energy so you can and should set up as many Crystal Grids as you want to in the same room. 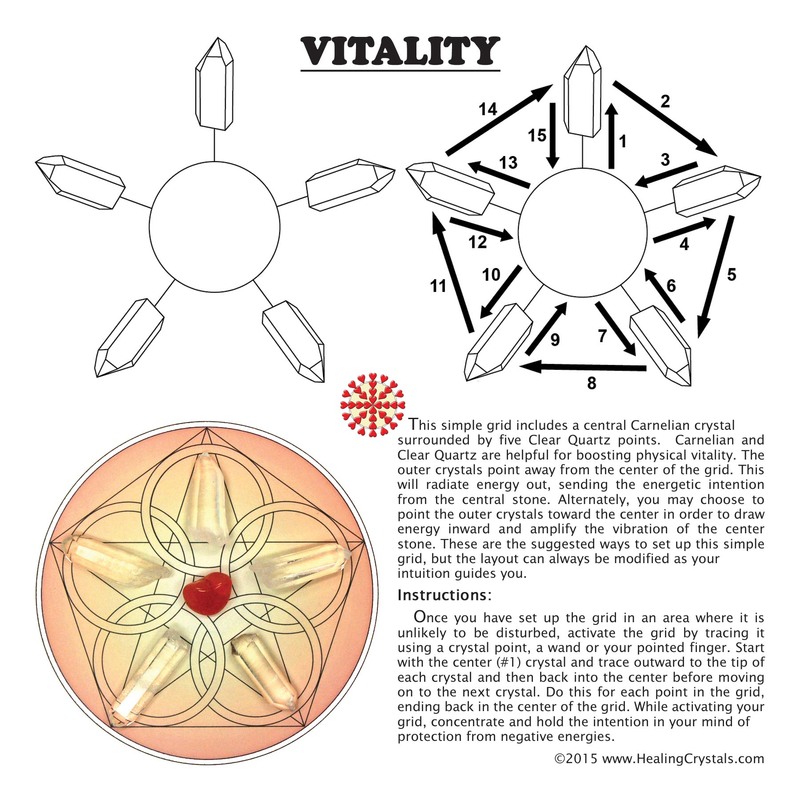 I would recommend that you think about the intention of each grid and how it works with the other grids in the area and maybe use a similar crystal in every grid as a unifying force (for instance every grid contains a Clear Quartz to amplify the energy and connect it to the other grids). You may also want to consult a Bagua/Feng Shui map (there are plenty online) to consider which areas of the room to place grids for their specific intention. For instance a grid for Love will do well in the Southwest area while prosperity works in the Southeast area. Career is North and Creativity/hobbies are West. This is just a suggestion so don't feel as if you need to follow this path. My recommendation is that you trust your instincts and place as many grids as you like wherever it feels best to you.